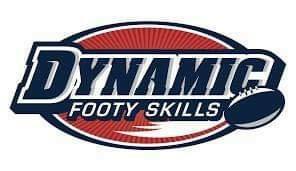 The expert team at Dynamic Footy Skills are back in 2019 with two interactive coaching education sessions on Monday, March 25th & Monday, April 1st – 7pm @ the Bayswater Junior Football Club. All of our club coaches attend this program as part of their invaluable commitment to our players. The club extends an invitation to any interested team officials & parents to join in these very worthwhile sessions. See you there! No Replies to "Dynamic Footy Skills are back in 2019 with two interactive coaching education sessions..."